For the first time since 1989, Europe is transforming. Russia is expanding. NATO and the West are struggling to react. And there is constant talk of a new Cold War. The primary protagonists, by most accounts, are Russia and the West. It’s Putin vs. Obama, Moscow vs. Brussels, authoritarian speed vs. democratic dithering. The bit of territory that they are clawing at — Ukraine — has largely been eclipsed. For, as with all great geopolitical contests, observers assume that the real forces at work lie not in the battleground — Ukraine now, or Corcyra in the struggle between Athens and Sparta, or Bohemia in the Thirty Years’ War — but with the Great Powers. It is not hard to see why the Russophile regions have raged against the new government, which the regional press calls the Kiev junta, the Maidan government in Kiev, or simply Banderovtsy (the informal name for the anti-Soviet insurgency that was based in the Habsburg west). On the side of the West are the four provinces that were part of Habsburg Austria until 1918. Later, all were swept into the Soviet Union. For over a century, these regions have been a hotbed of anti-Russian, pro-European sentiment. When they were in power, the Habsburgs, fearing both Polish nationalism and Russian expansionism, encouraged and cultivated fierce nationalism through schools, societies, and paramilitary scouting organizations. They taught the local peasants — who had previously referred to themselves as ruski or rusyn — that they were part of a great Ukrainian nation spanning from the Carpathian Mountains to the banks of the Don River, and that they had historically been oppressed by the Russians and the Poles. The peasants’ allies in their struggle for national liberation? Europe, naturally. Or, more specifically, Habsburg Vienna. The imprint of Ukrainian nationalism on these western communities has been remarkably durable. In the interwar period, they chafed at Polish rule. Ukrainian nationalists formed radical underground organizations, burned Polish estates, and ultimately assassinated the Polish interior minister. When the Soviet Union took over these territories, it found an implacably hostile population, one that mounted a large-scale insurgency. At the insurgency’s peak, there were over 100,000 men at arms. These warriors fought the Soviets through the early 1950s. When the Soviets finally defeated the insurgency, these regions fed the ranks of Soviet dissidents and the anti-Soviet diaspora in the West. They were among the first to protest against Soviet rule again in the 1980s, and voted by large majorities for secession from the Soviet Union in March of 1991 (the only Ukrainian provinces to do so). 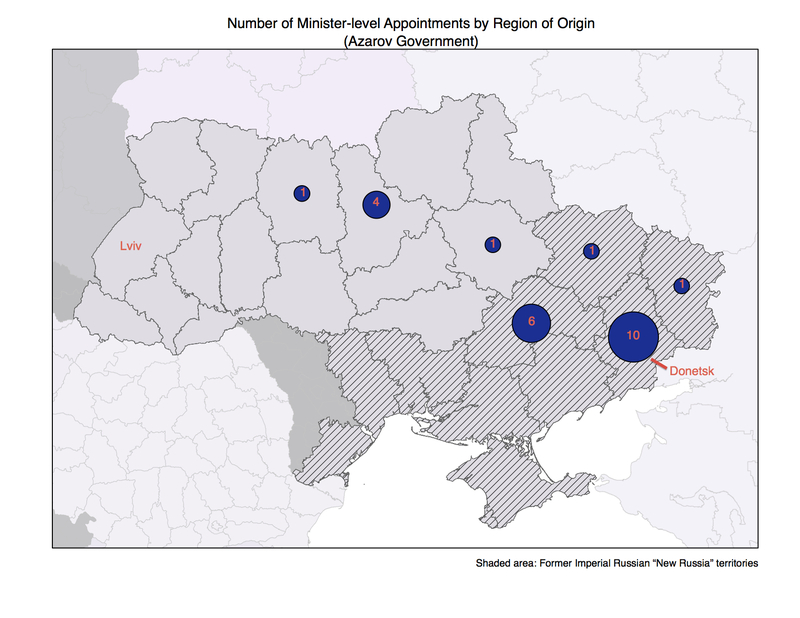 Since then, Ukraine’s western reaches have been the mainstay for Ukraine’s nationalist parties. Although the population of these provinces is only about 12 percent of Ukraine’s total population, they punch far above their electoral weight because of the intensity of their political views, their support in the diaspora, and their willingness to take to the streets. On the side of the East is what is currently called Ukraine’s south and east, historically known as New Russia. These are the areas that the Russian Empire annexed from the Tatar Khanate and the Ottoman Empire at the end of the eighteenth century. Because the area was home to very few people, these huge swaths of territory were largely settled by migrants from within the Russian empire and immigrants from abroad. In fact, the town that became the pro-Russian metropolis of Donetsk was originally chartered in 1869 by John Hughes, a Welsh businessman, as part of his New Russia Company for developing mining and ironworks. As in New England and New France, on the North American continent, diverse populations flooded into these territories on the promise of land, upward mobility, and education. They were taught the Russian language and — to a great extent — were assimilated into the Russian identity. To the extent that these areas were still thought of as Ukrainian, it was a Ukrainian identity that was not seen as being incompatible with Russian identity. In fact, these territories fed the ranks of the Soviet Union’s top leadership — Nikita Khrushchev earned his stripes in Donetsk, Leonid Brezhnev in Dnipropetrovsk — not the ranks of its discontents. Like the former Habsburg territories, historic New Russia bears the stamp of its past. With the exception of Crimea, Soviet policies left most of those who live in what is today southeastern Ukraine with Ukrainian listed as their ethnicity in their passports, but these Ukrainians are overwhelmingly Russian-speaking and strongly pro-Russian. In the past elections, they voted in large numbers for the pro-Russian Party of Regions, and for the Communist Party prior to that. 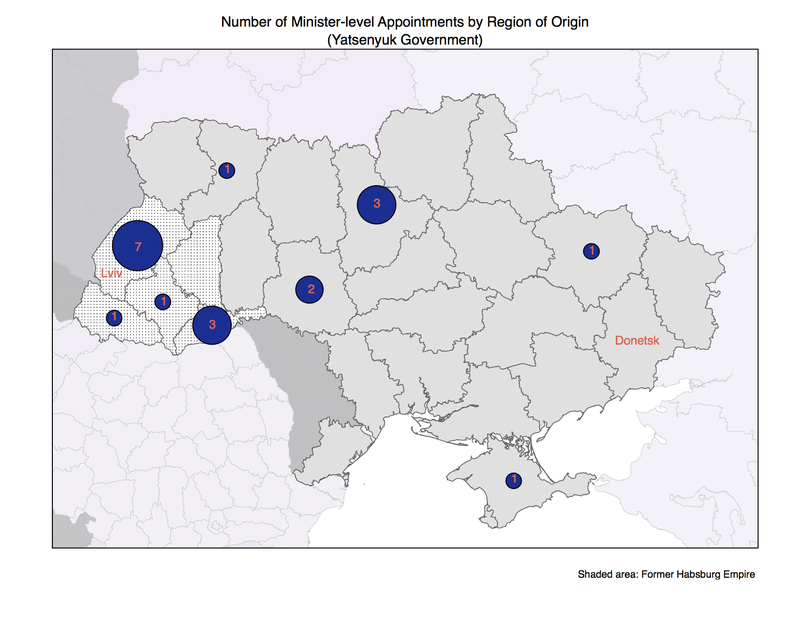 Since the 1990s, these regions have produced Ukraine’s most powerful leaders. Former President Viktor Yanukovych hails from Donetsk; former President Leonid Kuchma is from Dnipropetrovsk. The south and east constitute approximately half of Ukraine’s population and provides the lion’s share of its GDP. It is thus not surprising that, when questioned about the Soviet past or about support for European or Russian alignment in the present, the country cleaves sharply, and consistently, along regional lines. According to a recent poll, the idea of joining NATO is popular only in western Ukraine (64 percent in favor). It is deeply unpopular in the south (11 percent in favor) and the east (14 percent in favor). Much the same is true for membership in the European Union. If the matter were up for a referendum, which it will not be anytime soon, 90 percent would vote yes in the west, 29 percent would vote yes in the south, and 22 percent would vote yes in the east. Perhaps looking for a silver lining to the Russian invasion, some observersmaintained that the Russian occupation and annexation of Crimea would change those attitudes — after all, the stability and protection that Europe would offer starts to look better when your neighbor invades — but the regional divides are remarkably durable. Even surrounded by battle-ready Russian forces and at risk of annexation, southerners and easterners seem more interested in having the Russian military protect them from NATO than they are in having NATO protect them from Russia. When Yanukovych and his entire government were ousted back in February, the West welcomed it as a semi-constitutional revolution. The Russians saw it as a right-wing coup d’état. Neither view is entirely incorrect, but each misses the point. The relevant fact for Ukrainian politics is that power shifted in an extreme fashion from one regional base to another. First, back in mid-February, only 20 percent in the east and eight percent in the south felt sympathetic toward the Maidan protesters; they could not possibly be expected to be pleased with how power changed hands in Kiev. Making matters worse, the new government under Prime Minister Arseniy Yatsenyuk is dominated by the west. Around 60 percent of its top officials (ministers and above) come from the former Habsburg provinces. A third are from Lviv itself. Only two members of the new government (Interior Minister Arsen Avakov and Minister of Social Policy Lyudmila Denisova) hail from the country’s south and east. This is in sharp contrast to the Yanukovych government, under Prime Minister Mykola Azarov, in which 75 percent of the ministerial-level leadership was from the south and east of the country and 42 percent was from Yanukovych’s home province of Donetsk. It is not hard to see why the Russophile regions have raged against the new government, which the regional press calls the Kiev junta, the Maidan government in Kiev, or simply Banderovtsy (the informal name for the anti-Soviet insurgency that was based in the Habsburg west). Indeed, the consequences of the shift in power toward the far west have been entirely predictable. 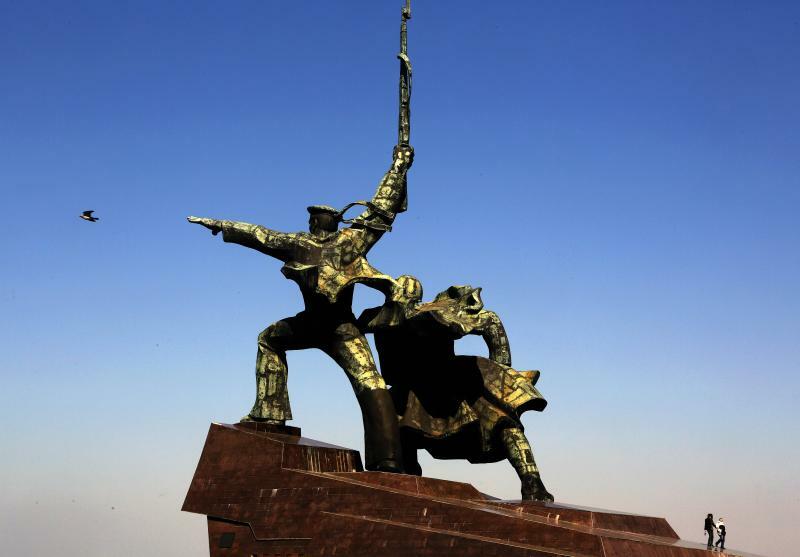 First, Crimea was lost, and not solely because of the presence of Russian special forces. Rather, in early March, the overwhelming majority of Ukraine’s military forces on the peninsula simply followed the newly appointed head of the Ukrainian navy and defected to the Russian side. In Donetsk, even before pro-Russian groups occupied the regional administrative buildings and declared the area the Donetsk Autonomous Republic, the courts were refusing to act on the request of the prosecutors (controlled from Kiev) to charge and try protestors. Elsewhere in the New Russian territories, protesters have taken to the streets and seized administrations buildings despite the high risk of arrest. The new government’s extreme regional imbalance created the space for Russian intervention, and it must be resolved immediately if Ukraine is going to survive intact. And survival is important. Most Ukrainians still want to keep their country whole. That is a good thing, because despite the regional divisions, there would be no clear or clean way to partition the country. Managed unity is better than violent division. Yet a region containing 12 percent of the population but controlling the majority of the top government posts would be a recipe for instability in any country — even one without a large and powerful neighbor. Adding in the fact that the government came to power through a popular uprising rather than an election, that its foreign policy views are extreme outliers in the country, and that it is divorced from the historic centers of power and the current centers of wealth, it is surprising that Ukraine is still standing at all. If the West continues on its current track, things will get much worse. Observers and policymakers in Europe and the United States have seen the new government as a potential partner to finally bring Ukraine into the Western fold. In turn, they have granted Kiev international legitimacy and financial backing. But this tug toward Europe may pull Ukraine apart. The same intense anti-Russian Ukrainian nationalism that gives the new government its desire to move toward Europe limits its capacity to govern Ukraine. It is thus time to face some hard facts. A pro-European, pro-NATO government ruling a regionally divided country — and one that is quite vulnerable to Russian military intervention — is a recipe for instability, not for European integration. Simply pushing forward with EU association and NATO integration without pushing the government in Kiev to address its illegitimacy problems through means other than arrest is not much of a strategy. It’s not even much of a gamble, as it is almost certain to fail. One way or another, power in Ukraine needs to be spread out. Early presidential elections are part of the answer, but they cannot achieve the goal alone. According to recent surveys, only 22 percent in the south and 15 percent in the east think that the upcoming elections will be free and fair. Illegitimate elections cannot confer legitimacy. If people in the southern and eastern regions feel they have no control over the process, they will not have a stake in the result. Power may thus need to be shared first, and then new elected leaders put in place. The most obvious way to do that is through some form of constitutional change. Call it what you want: decentralization, federalization, regionalization. The label makes little difference. Kiev needs to transfer some very substantial powers, including those over education, language, law, and taxation, to the regions. It also needs to make the officials who hold such powers democratically accountable to elected councils and governors. The Russian plan to federalize Ukraine, which, in reality, is a plan to turn Ukraine into a weak confederation where the central government is largely ceremonial, is a step too far. It is a recipe for dissolution and Russian absorption of the territory, not a solution. But there is certainly a deal to be made between Ukraine’s regions that will satisfy its regional power bases, appease its neighbors, and keep the country whole. It is hard to see a viable alternative, and the interim Yatsenyuk government is now beginning to open up that dialogue. As long as Ukraine retains its highly centralized winner-take-all political system, and one regional faction sits in Kiev with the backing of either Russia or the West, Ukraine is going to be unstable. With a little bit of constitutional accommodation, though, the divided house just might stand.